All Groom Creek Estates homes currently listed for sale in Prescott as of 04/22/2019 are shown below. You can change the search criteria at any time by pressing the 'Change Search' button below. 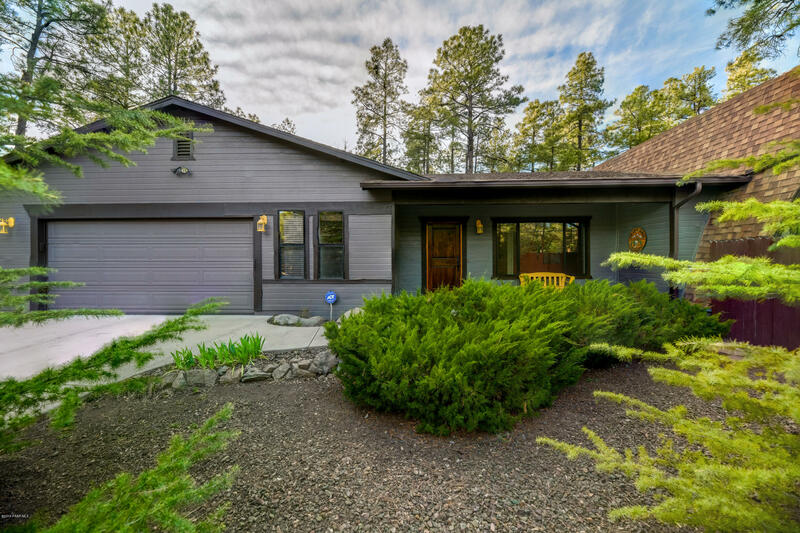 "The perfect getaway, located in desirable Groom Creek, 6 miles from downtown Prescott,! This home backs to National Forrest and offers nearly 2300 sq feet featuring a large family room with vaulted ceilings & views of the pines, a master with wood burning fireplace, jetted tub & access to the backyard, a precious secondary bedroom, full secondary bath, laundry room, large storage area & a 'resort size' game-room large enough to become another bedroom plus game-room! The kitchen and dining are li"